The most common issue is the one where Easy Mail Merge imports all CSV columns as a single data column. This usually happens because your CSV columns are not properly delimited. CSV stands for “Comma Separated Values”, so your CSV columns must be separated with a comma and not other delimiter. On the other hand, some 3rd party programs generate “CSV” files using other delimiters, such as semicolons or dashes. These are not standard CSV files, so Easy Mail Merge (or even Excel, for that matter) will not recognize the data columns and it will import all data as a single column. 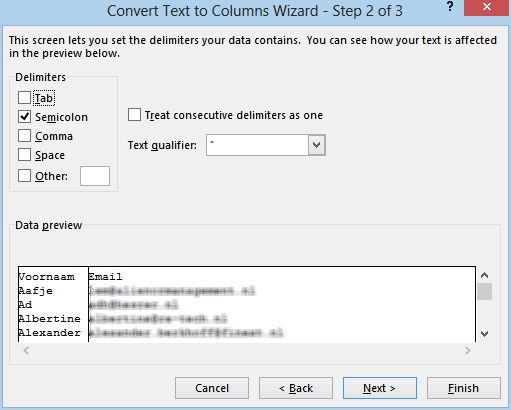 Once you are done splitting your CSV file to columns, you can save it back as a CSV file and import it to Easy Mail Merge. 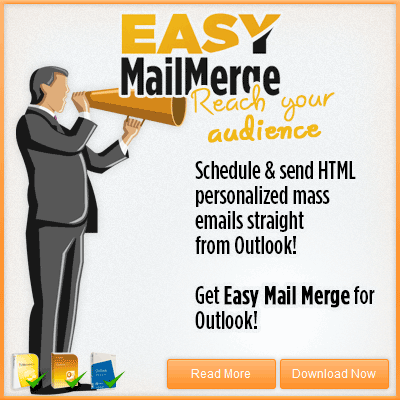 Then you can use the columns as mail merge sources in order to personalize your mass email content.